Laura practices in the areas of bankruptcy, business and commerce, estate planning and health care law. She received her B.S.B.A. degree, with highest distinction, from Nebraska Wesleyan University and her J.D. degree from the University of Nebraska Lincoln College of Law, where she received the Martin N. Erck Memorial Scholarship. While in law school, Laura received CALI Excellence for the Future Awards for attaining the highest overall grades in advanced legal research and pretrial litigation. She was also actively involved as the program coordinator for the Community Legal Education Program. After law school, Laura served as the director of community relations for the 2010 Special Olympics USA National Games. Laura joined the Knudsen Law Firm in August 2010 and she is licensed to practice in Colorado and before the U.S. District Court of Nebraska. 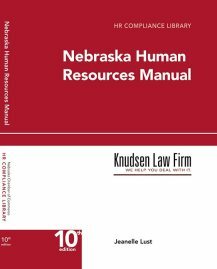 Laura is also a member of the Nebraska State Bar Association.